I began my law enforcement career in 1995 as a Reserve Deputy for the Tehama County Sheriff’s Office. I became a full time Deputy in 1997. I have worked in the Jail, Transportation, School Resource Officer, and Patrol. In 2007, I was promoted to Sergeant and worked as a Patrol Sergeant until 2013. I spent two years as the Detective Sergeant and then returned to Patrol in 2015. In 2013, I attended the Boating Safety course and became one of our Boating Safety Officers. From 2013 – 2018, I worked with the Boating Unit on my days off when they needed additional help. I took over as the Boating Safety Unit Sergeant in 2019. My wife and I enjoy spending our free time outdoors hiking the local trails and kayaking on the river. The Sheriff’s Boating Unit is funded by the State of California Department of Boating and Waterways through state boat taxes and registration fees. This unit investigates any accident or incident occurring on public waterways within county. 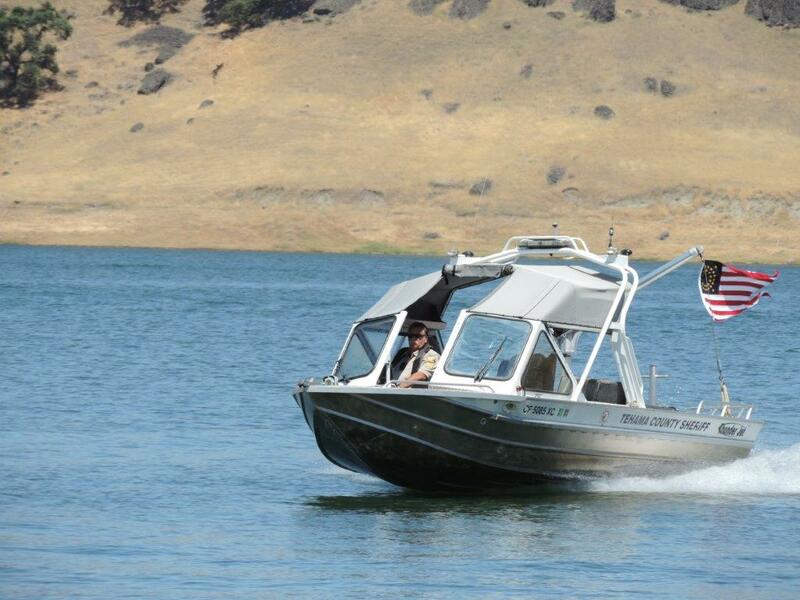 In addition, Tehama County deputies patrol 85 miles of the Sacramento River and Black Butte Lake, ensuring that equipment and safety regulations are adhered to. Deputies also conduct educational and public relations presentations for various schools and community groups. The Sacramento River is patrolled with three 22-foot custom high performance, all-weather jet boats, manufactured specifically for the Tehama County Sheriff’s Office. These boats, equipped for rescue in all weather conditions, are capable of speeds in excess of 50 mph and can operate in less that 5″ of water! The Boating Unit Office is located at 22840 Antelope Boulevard in Red Bluff. Deputies may be reached at 530-529-4172, or after hours at 530-529-7900.